To withstand the test of time, a great product must be marketed effectively. 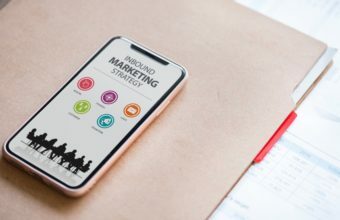 But marketing is tricky — you must sort through the plethora of available marketing channels and choose the ones that work best for your company. Hiten Shah knows a thing or two about accelerating intelligent growth. He is a serial entrepreneur who has co-founded three companies — Crazy Egg, KISSmetrics, and Quick Sprout— as well as advised and invested in many more. While speaking at Startup Grind’s 2017 Global Conference, he shared how he discovers, prioritizes, and tests marketing channels. Shah says these questions are key to choosing which channels to pursue. In 2005, Shah co-founded Crazy Egg, an analytics tool that uses heat maps to visualize visitor click activity. The Crazy Egg platform enables website owners to learn how users interacted with their sites, paving the way for data-driven site improvement. Despite not having a sales team, Crazy Egg grew exponentially. “We leveraged only one marketing channel, which we are still using today,” says Shah. It worked so well that before their official launch, Crazy Egg had garnered 23,000 signups. So how did Crazy Egg achieve such striking growth? Shah explains that, historically, it was technically difficult to track every click on a webpage. Before officially launching the product, Shah needed users to experiment with an early prototype before to ensure it worked with all types of websites. Shah’s team used his three question framework to choose a demographic to work with early on. They realized that their target audience was website designers who needed to understand Google Analytics but who had trouble understanding numerical metrics. They also discovered that these designers frequented web design communities, like the 9rules blog network and various CSS galleries. What happens if you’ve perfected a great product, but your marketing budget is less great? Shah found himself in this situation with Kissmetrics, a customer analytics platform he cofounded in 2008. “At that time, companies were spending more than $18 for every single ad click using Google Adwords,” Shah explains. “We had raised money through venture capital but simply couldn’t spend it on acquiring customers at that cost,” Shah adds. But Kissmetrics still managed to get 25,000 user signups for their website — without spending a dime on marketing. Shah quickly discovered that Kissmetric’s target customers were online marketers who avidly used Twitter. This insight into his customer base enabled Shah to leverage Kissmetrics’ Twitter presence, engaging its target demographic through hashtags. In particular, Kissmetrics capitalized on #Measure. “Back then, every online marketer who adopted tools early was using that hashtag to share links, and to talk about marketing and analytics. We discovered what others hadn’t – that you could use hashtags to attract those same marketers,” says Shah. Today, hashtags are a well-known tactic, but the rule still applies. You need to find opportunities to engage with your customers through the appropriate marketing channels where they naturally reside. After finding a viable marketing channel, the next step is to refine it. Your website or app should convert people who visit into actual signups and paying customers. Shah stresses the need to always find opportunities for marketing. For example, you can identify pages with high traffic and a high bounce rate; pages with high traffic and a low conversion rate; or sources with high traffic and a low conversion rate. You should then figure out what specific aspect of those pages needs improvement, perhaps by A/B testing or usability tests. “We knew we had to add value with the right channel either for free or with little cost, because we know for most startups, you want to spend the least amount on marketing and more on your actual business,” Shah concludes. Delivering value for customers should be at the forefront of any company’s agenda. By identifying your ideal marketing channel and a method for engaging with users, your team can focus on expanding your reach, and accelerate growth in the right direction. Interested in data-driven marketing? Read more about intelligent lead follow-up.